Home >> Providers >> Tama Lynn Syrop, M.D. Originally from Connecticut, Dr. Syrop graduated from Washington University in St. Louis in 1990 with a Bachelor of Arts degree in Spanish. During her undergraduate years she also studied in Mexico and Spain. Dr. Syrop earned her Doctorate of Medicine from Hahnemann University School of Medicine in Philadelphia, Pennsylvania and went on to complete her residency training in Family Medicine at Georgia Baptist Medical Center. 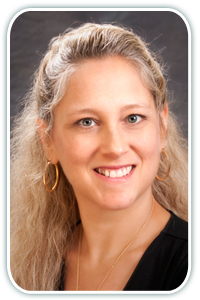 She is Board Certified in Family Medicine and has been in practice in North Atlanta since 1998. Dr. Syrop enjoys working in partnership with her patients to provide the highest quality healthcare for the whole family. She is a strong proponent of preventative medicine and provides well woman exams, male wellness exams, and well child checks, in addition to treating a variety of chronic diseases such as hypertension, hyperlipidemia, and diabetes. She welcomes patients of all ages.